Fitbit trackers aren’t just for adults anymore. 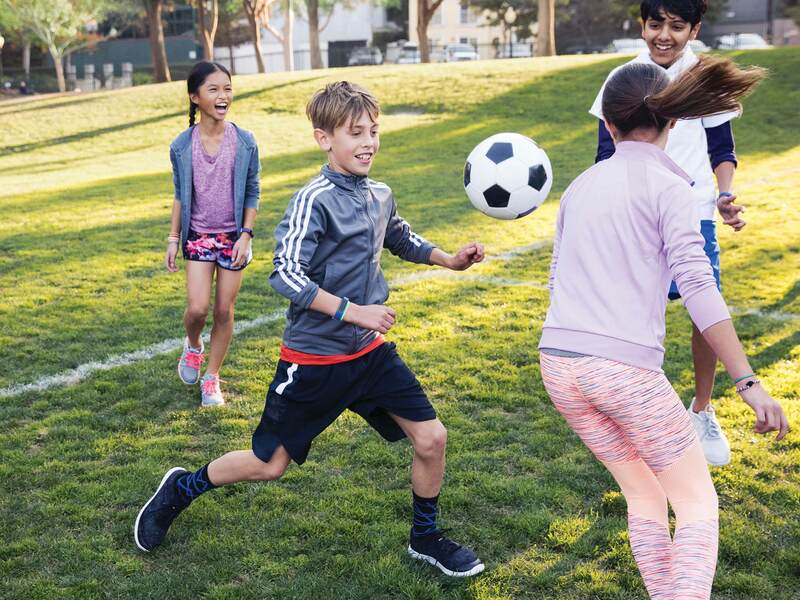 The San Francisco-based wearables maker has announced Ace, a new fitness tracker targeted specifically at children eight years old and up. Essentially a re-purposed Alta (the first-generation Alta, not the Alta HR, which added the company’s PurePulse heart rate tracker to the mix), Ace is a low-cost fitness tracker designed to “make fitness fun” for children. It features five-plus days of battery life, a smaller adjustable band and 10 different watch faces children can choose from to customize their tracker, as well as step, sleep and activity tracking. Ace is also shower and splash-proof, though it’s not fully waterproof and doesn’t feature swim tracking. In terms of software, the experience is slightly different from what’s available on Fitbit’s other trackers. To start, kids don’t create their own Fitbit account — though children who have their own smartphone can still download the company’s mobile app, available on iOS and Android, to see their stats (more on that in a moment). Instead, parents add their offspring to their own Fitbit account. 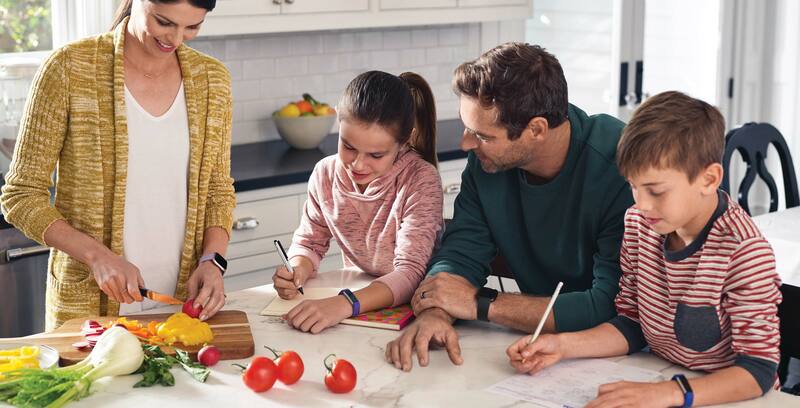 From there, they can keep up-to-date on their kids’ activity and sleep stats, as well as manage their child’s Fitbit friends network, ensuring that no strangers can see their children’s milestones, badges and the like. The dashboard, the part of its interface where the Fitbit app displays all the stats it tracks, is also different. When it comes the dashboard kids see on their Fitbit app, the app won’t show metrics like body fat percentage and calorie burn to its young users. Moreover, the device won’t share any stats with Fitbit’s wider community network. Fitbit didn’t say too much about the first limitation. Presumably, however, the company decided it doesn’t want to overload kids with stats that, in the long run, might do more harm than good to their mental and physical health. Instead, the focus here is on badges that kids can earn through being active and that in turn can help them build positive activity and sleep habits that they will take with them into adulthood. Another Fitbit mainstay, move reminders, are also available on Ace. Like on every other Fitbit tracker, Ace will activate after a period of inactivity to prompt its owner to get up and move around. And just like every other Fitbit tracker, it’s possible to customize this feature to adjust how often it activates. Alternatively, it’s possible to disable move reminders altogether. The idea here is that parents can adjust their child’s move reminders so that Ace isn’t activating when they’re in class. To better accommodate children’s physical needs, which are different from that of the average adult, Ace will also set different goals for its young users. Instead of pushing kids to be active for 30 minutes throughout the day, Ace will try to get its users to move for 60 minutes of each day. Similarly, Ace will encourage kids towards getting nine to 12 hours of sleep each night, as opposed to eight hours like other Fitbit trackers do with their adult users. 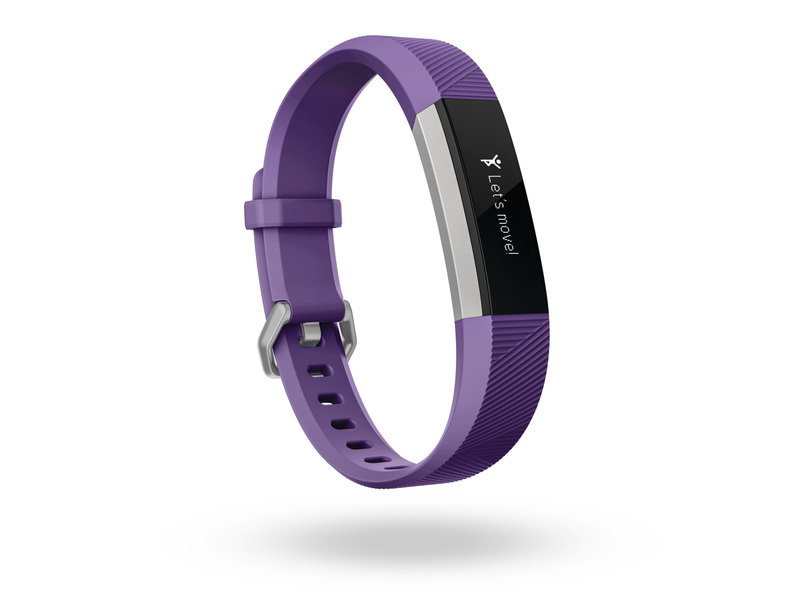 According to Fitbit, Ace is fully compliant with the U.S. Federal Trade Commission’s Children’s Online Privacy Protection Rule (COPPA) regulations, as well as other applicable children’s privacy laws. In announcing Ace, Fitbit said it wants to address an issue that’s of growing concern in the developed world. According to the company’s research, in the U.S., two out of every three children are inactive every day, with screen time with devices like tablets and smartphones contributing greatly to the country’s childhood obesity problem. In its own words, Fitbit said it wants to give children “the right kind of screen,” one that motivates them to get up and move. Still, if you’re the critical sort, it’s easy to view this product with a cynical eye. One point Fitbit was quick to repeat multiple times during its pre-briefing on Ace was that it has the largest database of biometric data in the world. With this new tracker, it will be able to augment that database with even more data. Additionally, while the company has sold some 76 million trackers to date, it’s been losing momentum in recent quarters. During its recent Q4 earnings call, Fitbit reported a seven percent revenue decline. Moreover, during that same period, the company lost its crown as the number one wearables manufacturer in the world to Apple. Viewed through that lens, Ace appears less about addressing a very real health issue and more about cultivating customers that will stay with the brand as they grow into adults. Fitbit says it plans to start shipping Ace in Q2 2018. The tracker will be available in two colours — ‘electric blue’ and ‘power purple’ — and will retail for $129.95 in Canada. Canadian consumers can pre-order Ace starting today via the company’s website. A variety of major Canadian retailers, including Amazon, Best Buy and SportChek, will carry Ace at launch.